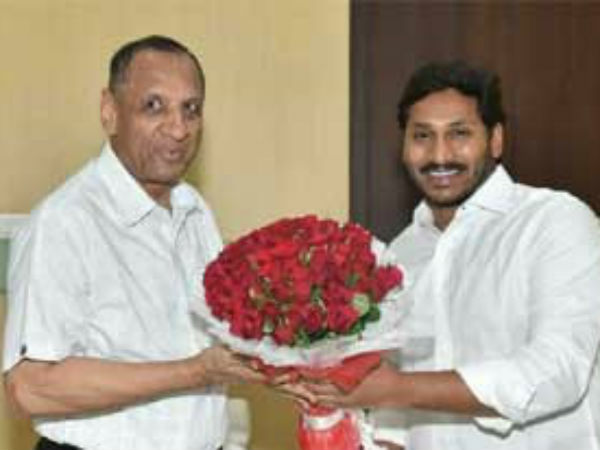 YSR Congress Party chief YS Jagan Mohan Reddy on Saturday met Governor ESL Narasimhan to request for free and fair elections in Andhra Pradesh. He accused Andhra Pradesh Chief Minister Chandrababu Naidu of removing names from voters’ list and misusing his power in appointing police officers. Jagan, who is the leader of Opposition in the state Assembly, informed the Governor that he had already lodged a complaint with the Election Commission stating that lakhs of fake voters were included in the voters’ list in Andhra Pradesh. He said: “We have raised questions on how Naidu’s government is misusing the police department and requested the removal of few officers from election duty. Also, 59 lakh duplicate voters are present in the state and there is a need for its removal” also mentioned that they have enclosed evidence along with claims to the Governor and requested for action against it.